Don’t deny your kids the ultimate coziness of sweats. At Monkey in a Dryer Screen Printing, you can bundle your bundle of joy in style and comfort. With our online design tool or help from our design team, you can make your kids’ sweats look awesome. Contact us today to learn more about our youth and baby sweats. We are based in Hopkins, Minnesota, and proudly serve all of the Minneapolis/St. Paul area and ship products to customers nationally and all over the world. Our best selling crewneck on a budget! Soft and comfortable, this 50/50 crew neck sweatshirt is great for youth groups looking for a budget friendly, high quality product at a great price. Our best selling hoodie on a budget! 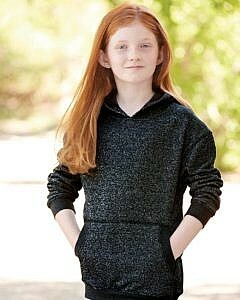 Soft and comfortable, this 50/50 hooded sweatshirt is great for youth groups looking for a budget friendly, high quality product at a great price. Our best selling hoodie zip up on a budget! 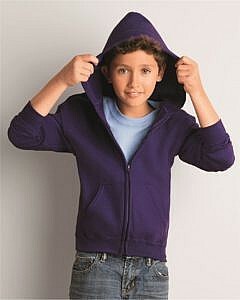 Soft and comfortable, this 50/50 hooded zip up sweatshirt is great for youth groups looking for a budget friendly, high quality product at a great price. Made from extremely soft, premium lightweight fleece and has a slim fit, completed with a jersey hood liner. Offered in a bunch of great color combinations. 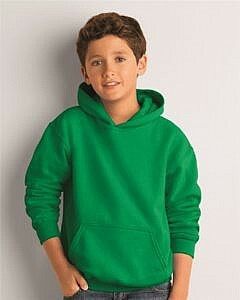 Fashionable hoodie with a burst of color options! Made from premium, super soft, lightweight fleece offering a slim fit and quality construction. Fashionable hoodie that will get your team noticed with a touch of glitter and a lot of glam!